- Art at the nanoscale. A conference by Olga Kisseleva, 26/1/2013 in Lille (France): " The potential applications of the nanotechnologies are considered miraculous, exploiting the unique biological, optical, electronic and magnetic proprieties of the nanoparticles. But isn’t this passion for the nano-world exceeding the reasonable limits? 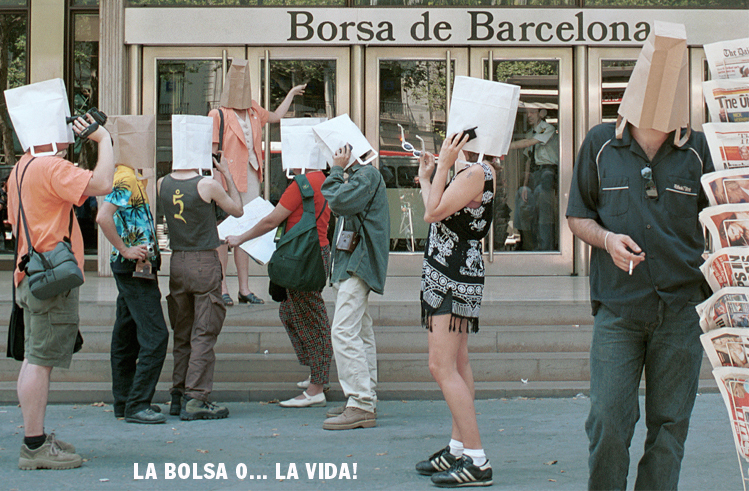 Today, the artists enter into the public debate between scientists and environmentalists. How should we consider the visual experiment of the spectator when the opus’ material changes according to its environment? - Nanoart: see Chris Orfescu. 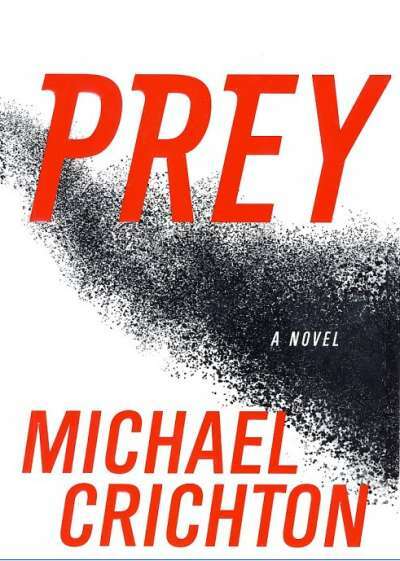 > Prey , by Michael Crichton, 2002. French translation: La proie, Laffont 2003 AH No 136 . Not the best of Chrichtons, but some beautiful passages, about the "swarm" technologies. > The diamond age (1995. French translation: L'âge de diamant, by Neil Stephenson, Rivages 1996. Narration, narrative, narratology. See story. < Storyworlds across Media. Toward a Media-Conscious Narratology. by Marie-Laure Ryan and and Jan-Noël Thon (eds.) l : University of Nebraska Press 2014. < Erzählen und Wissen. Narrative Strategien in der zeitgenössischen Kunst. Ed. by Melanie Franke. Verlag fur Moderne Kunst, 2013. - Narrative devices. Explanation and list by TV Tropes. There are classical ones, or they may be created, designed. Nanotechnologies, a difficult but fascinating topic for SF fans. - Flake Gary William: The computational beauty of nature. MIT Press 1998 (Difficult reading). Net Art . See terminology, Web. - Presentation of the domain [Rennard] ,[Dreyfus]. - The human brain network, from the neurosciences standpoint [Gazzaniga]. - It is the preferred tool of Michel Bret. - Neuro-aesthetics, an essay online by Alexander Redhing, 2013. - [Gazzaniga] The big book for students and all interested fans or professionals. Some 600 pages A4 on two colums. Example of a Net action, from the website nodo50 which offers a wide choice. New Media. This term tends to replace "Digital Arts". < New Media Art, by Mark Tribe and Jana Reena. Taschen 2006. They write : "... we use the term New Media art to describe projects that make use of emerging media technologies and are concerned ith the cultural political and aesthetic possibilities of these tools" (quotation by [Quaranta] p. 22). < Beyond New Media Art, by Domenico Quaranta. See [Quaranta]. "The expression "New Media Art", which is deemed inadequat even by those who use it, has turned out to be a particularly resistant one, juste like the point of view it embodies".He proposes "Postmedia". - A special issue of Art Forum in 2012. < Rethinking Curating, by Beryl Graham and Sarah Cook (MIT Press 2010). This kind of terms cannot last very long. Since you canot be "new' along many decades! Nogo. Concept and operation by Gwenola Wagon et Stéphane Degoutin. - Set of articles "Studio nomade", 16 pages, signed Pierre Emberger, in KR home-studio, June 2011. Non-linear. A color space or species [Brinkmann]. 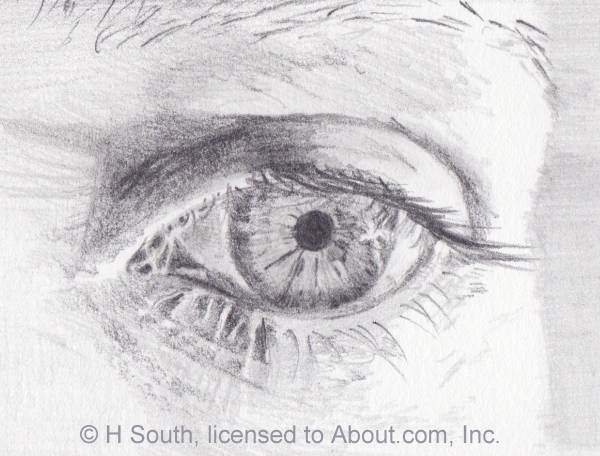 Non photorealistic rendering of an eye, here with an effect of paper grain. - A list of links, by Craig Reynolds. - See a definition in Epita document. - "NPR abandons the conventional goal of exact reproduction in pursuit of the evocative capacity for visual communication". - Some NPR tricks: transparency, cutaway, explode view. See contours, line. - Presentation in Paris of Paperman. See our post. - NPAR Conference. (Non photorealistic animation and rendering). - At present (mai 2011), NPR is more used by scientits or technicians than by artists. On the beginning of 2011, the announcement of Tron (very advanced on character photo-realism, but also showing some NPR) andTiteuf (animation inspired by comic strips) marks up rather well the transition from one creativity mode towards another one. But one could discuss that. Normalized, norm. A norm is more institutional (issued by a standards institute like ISO, DIN or Afnor) than a standard, which can be proprietary or de facto. A norm is more institutional, less proprietary, than a standard. - In transmedia, several notes in [Rose]. Number. Golden section, see Pythagoras. Nurbs. Non uniform rational B-splines. A family of soft curves, to model imprecise and smooth forms. [Foley].